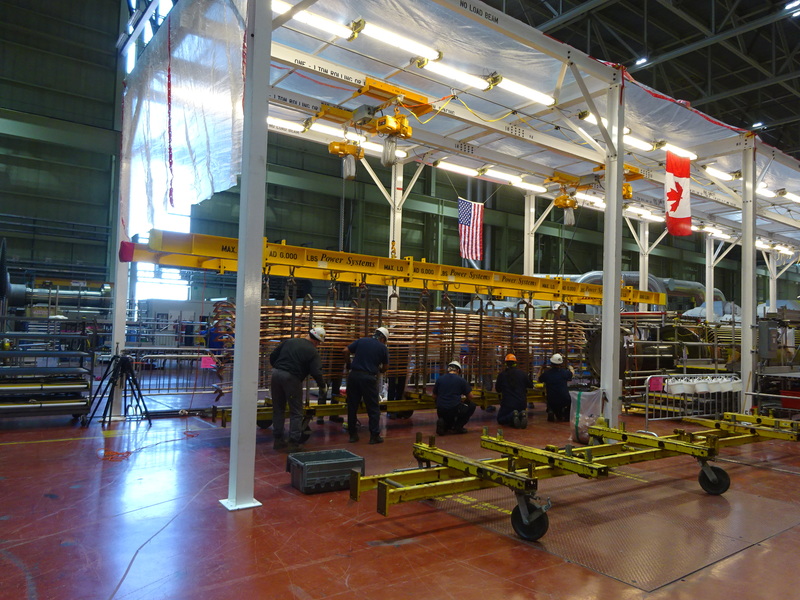 Client: GE Canada International Inc.
NA Engineering Associates Inc. undertook a structural review of an overhead gantry crane used at the Bruce B nuclear generating station, acting as a consultant to GE Canada International Inc. 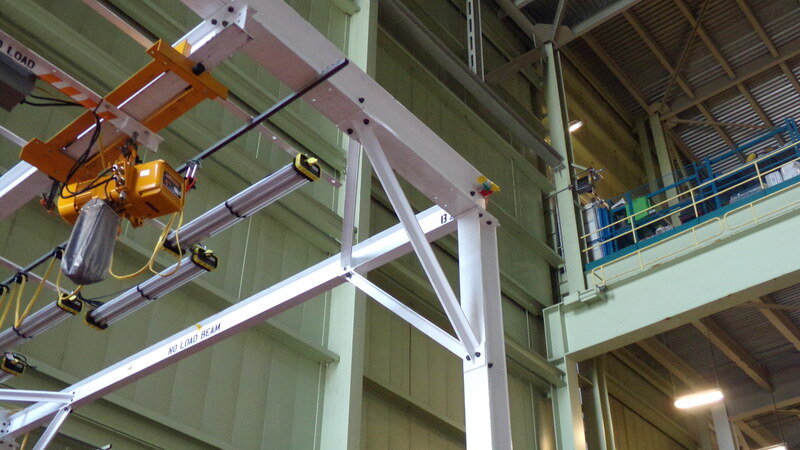 The purpose of the project was to confirm the design of the gantry crane and provide an Ontario P.Eng. design certification for the structure. 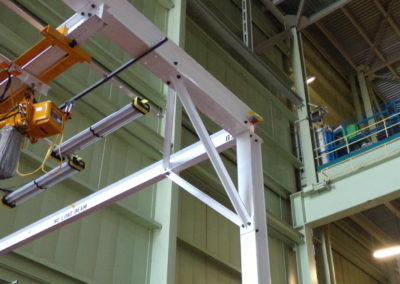 Designed in 2003, the gantry crane is used to lift the Short Cycle Field Rewind Coil Rack. 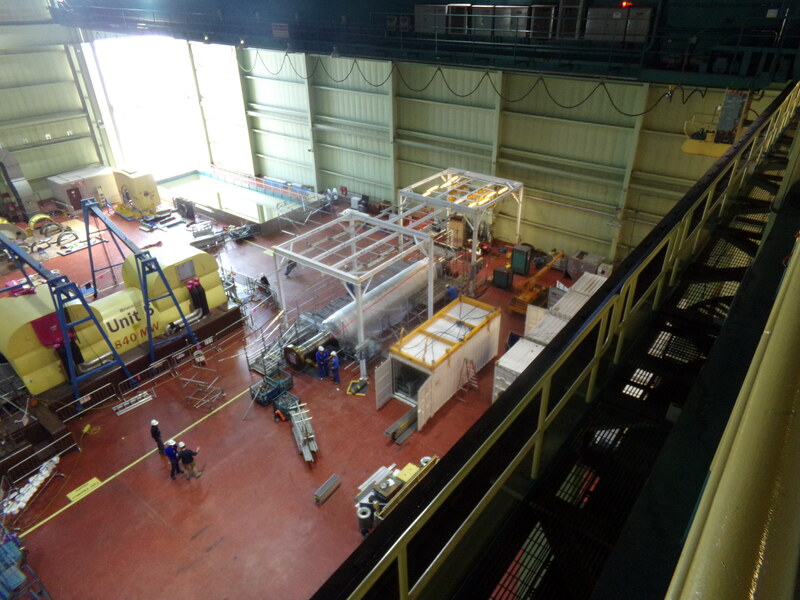 The crane’s structure consists of three rectangular steel frames, set 15 feet apart and supporting a continuous rail. Each frame is comprised of connected steel columns and beams. 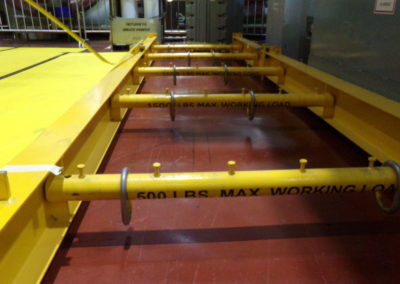 The continuous rail system has four one-ton chain hoists (two per rail). 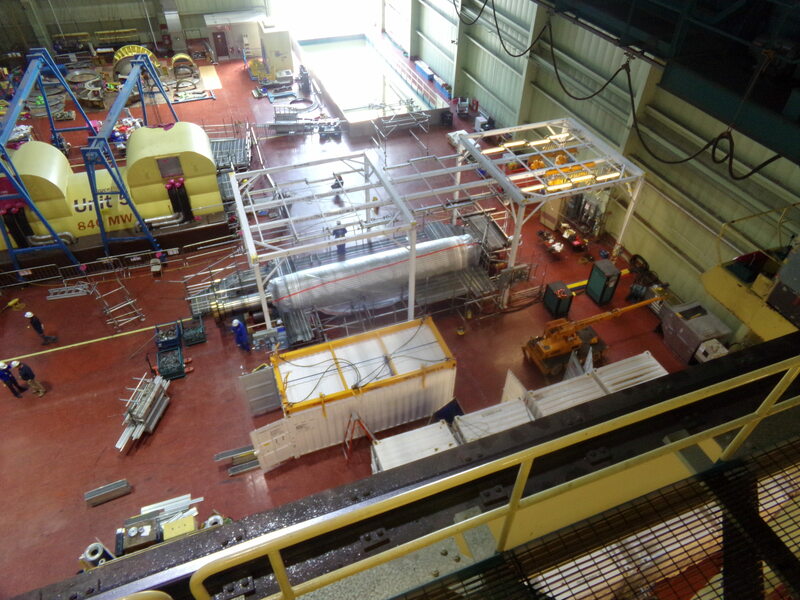 The hoists lift a steel frame to which the Short Cycle Field Rewind Coil Rack is attached using slings. The hoists are on a pendant. 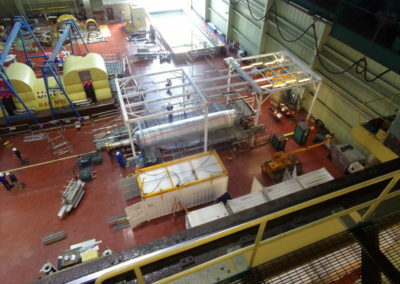 Once the Short Cycle Field Rewind Coil Rack is attached, it is pulled into position it over a floor rack onto which it is loaded. the Canadian Institute of Steel Construction’s Guide for the Design of Crane-Support Steel Structures. 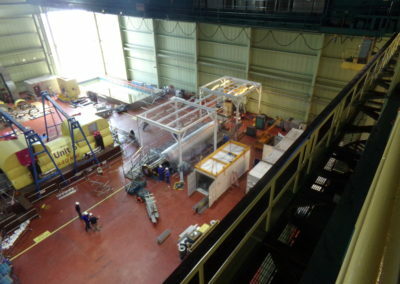 NAE also performed a field review of the structure that was partially constructed to verify the as-built conditions versus the original design drawings. The structure was also re-analyzed using STAAD Pro. 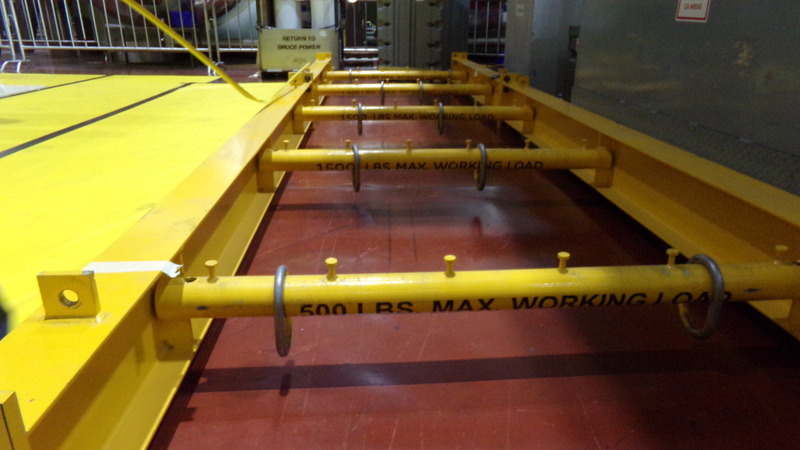 The gantry crane was being used during an outage, which required a tight schedule for the project.